Weekly rehearsals are on offer for the choir. 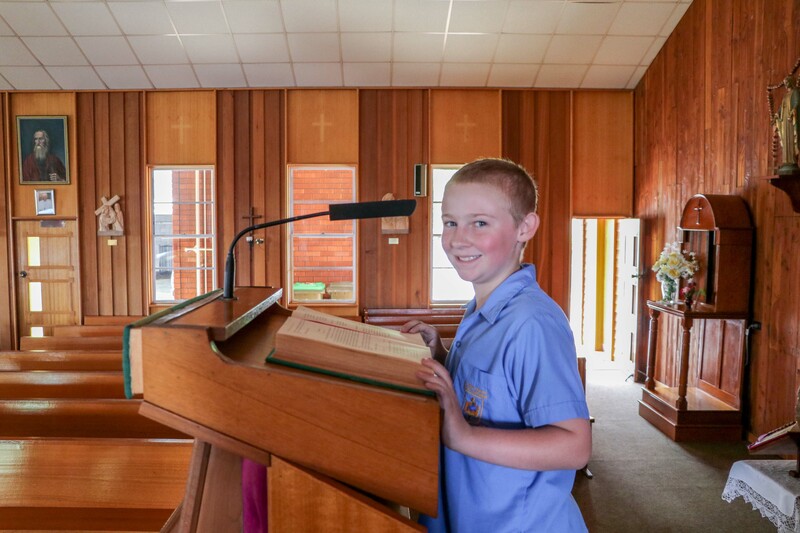 Children are able to then perform at school masses, parish functions and community events. We also provide opportunities for our students to perform for our local community at local organisations, nursing homes and shopping centres. Our School Concert Band was form in 2018 and is slowing building. The band rehearse each week under the leadership of our music teacher, Mrs jo Cook. Students are encouraged to seek tuition outside school time. Music students from our sister high school, St Mary’s Catholic College, tutor to our students for a discounted rate. The band perform at school assemblies. Each year St Paul's students engage in the Premier's Reading Challenge to celebrate their love of learning and literature. The Challenge aims to encourage a love of reading for leisure and pleasure in students, and to enable them to experience quality literature. It is not a competition but a challenge for each student to read, to read more and also to read more widely. The ICAS University tests are provided for students each year. The independent skills-based assessments include Computer skills, English, Spelling, Writing, Mathematics and Science competition papers and are sat by over one million students in Australia and New Zealand annually. These assessments offer students the opportunity to explore extended content in each of the curriculum areas. Students are then awarded different achievement commendations ranging from Merits to High Distinctions. St Paul's holds an annual Public Speaking Competition in Term Three. Public speaking is an opportunity for students to demonstrate their knowledge and clearly articulate their thoughts, ideas and understanding to their peers. Preparing a speech for public delivery increases a child's knowledge of the topic and enables him or her to become more in tune with the subject matter, as well as, develop confidence. Every student at St Paul's learns the skills of public speaking during class and has several opportunities to practise delivering a speech to an audience. Our more talented and exceptional speakers are then invited to present at the whole school competition, where their talents are recognised more formally. Winners of the school competition go onto the Regional Public Speaking Competition held annually in Term 3. Each week at St Paul's a talented group of Chess players meet to practise the game. Students will either play one-on-one games or doubles tournament rounds. St Paul's have entered the Primary School Chess Competition, which sees our students visit a number of primary schools across the region. Chess is an activity that exercises both sides of the brain and demands concentration, planning and foresight. It also strengthens memory and problem-solving skills. Chess provides our higher ability students with an opportunity to rely on their creativity and exercise some originality. Stage Three students have the opportunity to enter the Maths Olympiad competition. This is an annual competition extending across Australia. This program is designed to strengthen students' mathematical intuition and requires calculated problem-solving strategies. Students sit a five problem test every month between May and September, competing against other likeminded students, as well as aiming to improve their own achievements. This high-quality program produces critical thinkers and fosters creativity and ingenuity. Our St Paul's team meet regularly to train for these contest problems. At these training sessions students strengthen their problem-solving skills and learn different strategies that assist in speedy solutions. The focus is on strengthening students' ability to solve mathematical problems in a creative manner. These gifted mathematicians are taught to use critical thinking to find the solution, as opposed to simply finding the answer using a prescribed method. Maths Olympiad not only requires a strong understanding of number sense but relies on the ability to find shortcuts in order to find solutions. St Paul’s students from Year 3-6 have the opportunity to audition for the school TOM team. Practices take place at lunchtime in preparation for the TOM Competition held annually at Newcastle Grammar in Term 3. At St Paul's, we aim to provide opportunities for our students to become active and responsible leaders in our school community. This includes having all students involved in our Buddy Program - Year 6 students are partnered with a Kindergarten student to ensure smooth transition to school. We have a large Mini Vinnies group which draws on students from Year 6. Mini Vinnies is a voluntary program designed for groups of primary school students who are interested in social justice. 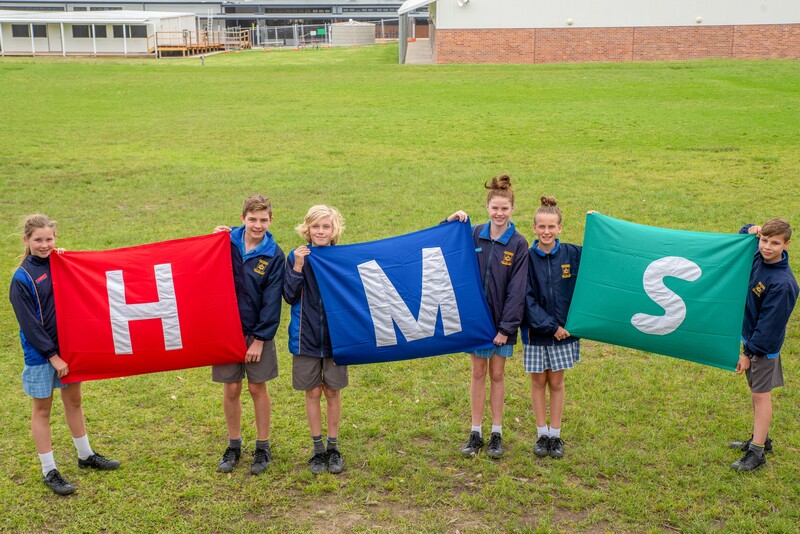 At St Paul's, Mini Vinnies students get together to help those in need within their school, local or international community. Year 2 Swimming Program at our local swimming pool with professional trained instructors.